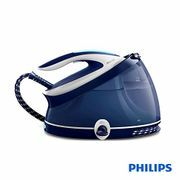 Get the best deals on steam iron from your favourite brands such as Russell Hobbs, Braun, Tefal, Breville and Morphy Richards. Here is where you can find the cheapest price on steam iron as shared by our team of amazing bargain hunters. Get the best deal ever by using discount codes on your online purchase from Currys PC World, Tesco, Robert Dyas, Wilko, Amazon, Tj Hughes and Very. Whether you prefer cordless or corded ones, you can definitely get the savings you need and even get access to special offers such as free click and collect and free delivery. Steam Iron Which Works Both Cordless & Corded! Take advantage of fantastic savings on top steam iron brands in the UK here at Latest Deals! Steam irons are somewhat different from traditional irons. Steam irons are more effective in removing wrinkles from clothes because it emits steam. There are many brands and models of steam irons and each of them provides different levels of output. If you are going to buy a steam iron, you should consider the features that it should have. If you are going to use it for home or commercial use, you should buy a heavy-duty steam iron that has a large water reservoir. It should have heat resistance features since you will be using it for long hours. This will help protect your hands from the heat coming from the iron. On the other hand, if you are going to use it for personal use and bring it with you during travels, you should choose one that is lightweight and portable. It will also be better if that steam iron can be used with a cord or cordless for added convenience. Choose a steam iron that you think will get the job done faster and more efficiently. Where Can I Find Cheap Steam Iron Deals in the UK? When buying items online, it is advisable to check the items before you finalise your orders to make sure that you will not have problems when you receive the actual items. 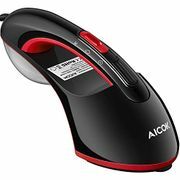 Once you have selected the perfect personalized gift item, use the discount codes upon checkout so that you can save some money on your purchases. There are numerous UK retailers that are selling steam irons with amazing deals. Here at Latest Deals, we have a team of money saving experts and a community of bargains who are always posting verified sales, price drops and voucher codes from UK retailers. When you buy an steam iron from Ebuyer, you can save more than £30. GoGroopie is also offering their 2 in 1 Cordless & Corded Steam Iron with a discount of £50. On the other hand, you can get at least 25% off when you buy select steam irons at ASDA. If you are searching for a Cordless Steam Iron, you can get them at Amazon with a savings of 60% off. Argos is also offering a 20% discount on their cordless steam irons. Amazon is also selling selected steam irons at half the price. Take advantage of these deals so that you can buy additional items from your savings. Currys PC World also has cheap quality steam irons with discounts of up tp 50% off. It is hard to choose the right steam iron since there are plenty of available options online. Choose a brand that you trust and research about the specification of their models. Once you have selected the right one that will suit your needs, use the latest steam iron UK voucher codes and get big discounts. Heat Resistant Insulation. Since stem irons use heat, it should have the capacity to resist extreme heat so that it will not get damaged and will not cause any accidents or injury. The item should be made from durable quality materials that can prevent heat from penetrating your skin to avoid any burns. Thermostat. The item should have a dial to adjust the level of heat that it produces. This is important since every fabric responds to the different levels of heat. There are fabrics that are thinner than others and can burn easily. Steam Option. This is also important to adjust the quantity of steam that it releases. You can increase the steam for clothing that is heavily wrinkled. Electric Cord. There are steam irons that have cords and there are cordless ones. Today, there are units that have both features. You can use a cord when you are at home and remove it if you are going to bring the steam iron to your travels. Water Reservoir. IIt should have a reservoir that can carry a substantial amount of water so that you do not have to refill too often. Anti-drip function. It helps prevent water from leaking and dripping to the clothes while ironing. This is important to prevent damage to the fabric. 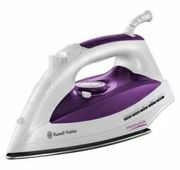 Rowenta DW5080 Focus 1700-Watt Micro Steam Iron - It distributes steam to a wide area and it can easily be manoeuvred over collars and between buttons. It also has an auto-shutoff function which is an important safety feature. Black+Decker Digital Advantage Professional Steam Iron - It provides a modern touch because of its digital buttons. It also provides several heat settings for added convenience. It has an LCD screen to easily customize its settings. Sunbeam Steam Master GCSBSP-201 Stainless steel Soleplate Iron - It has a big water tank and it has an anti-drip feature. It also provides strong bursts of steam to remove heavy fabric wrinkles. It also has a long retractable cord. Steamfast (SF717) Home-and-Away Mini Steam Iron - It has a small size but it does not sacrifice its quality. It is very lightweight and portable which is perfect to bring on your travels. It has three settings for temperature adjustments. Rowenta DW8080 Pro Master 1700-Watt Micro Steam Iron - It has a stainless steel soleplate to make ironing easier. It distributes steam on a wider scope. It also has a 7-ounce water reservoir so that you do not have to refill too often.